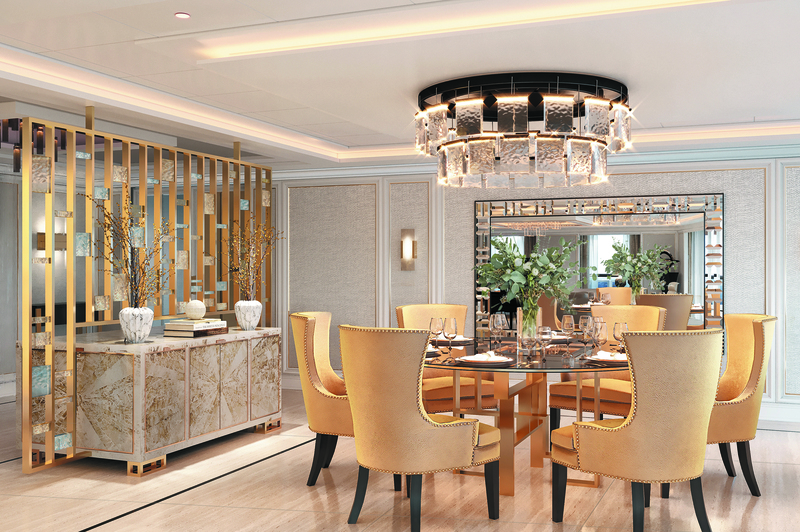 Regent Seven Seas Cruises has just unveiled details for new launch Seven Seas Splendor – and it more than lives up to its name. 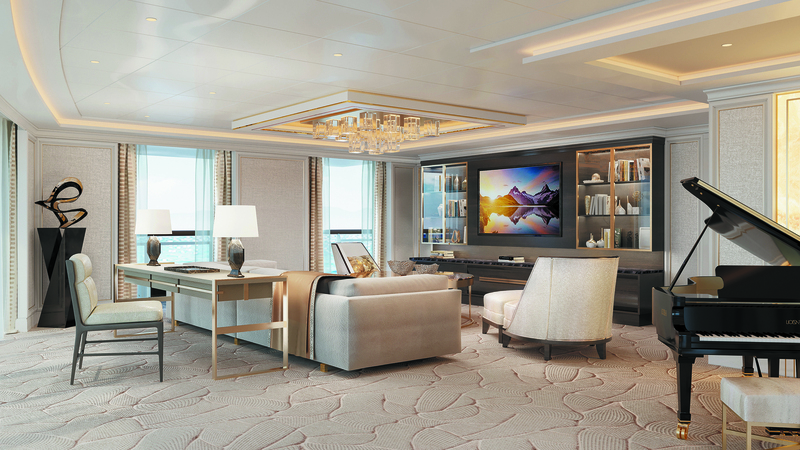 The epitome of luxury at sea, the design sees the public spaces and 10 suite categories reimagined on board this all-inclusive ship that debuts in 2020. 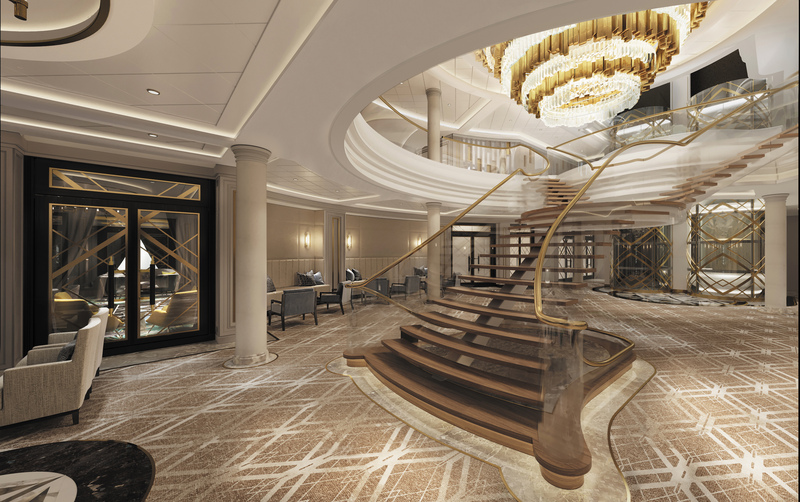 Several popular areas from sister ship Seven Seas Explorer will be on board Splendor with some ‘significant revisions.’ The Grand Staircase will now face the entrance to her largest restaurant, Compass Rose, for a more ‘enchanting arrival’; there will be an al fresco seating area at Coffee Connection, and there will be 375 suites ranging from the 307 square-foot Veranda suite to the lavish 4,443 square-foot Regent suite which is on the top deck. Every suite boasts a private balcony, and marble bathrooms while the Distinctive Suites onbaord, which include the Regent, Master, Grand, Splendor, Seven Seas and Penthouse Suites come with a one-night pre-cruise luxury hotel package, personalised butler service and pillow menu. Reservations for Seven Seas Splendor’s inaugural season open 11 April 2018.